Offers three types of rewards to choose from: cash, gift cards, and travel miles. Gives members coupons that you can use at many stores. It offers a variety of tasks so you can easily grow points in your account. Many people who are unfamiliar with the various rewards programs advertised online may see one such as MyPoints and think they have found a great way to make quick and easy money. However, there is always more than meets the eye with these programs. It’s never a good idea to get into something before you do some research to make sure it isn’t a scam you are getting involved with. All rewards sites are unique in their own ways. Each reward site will offer different incentives for completing different types of tasks. Below is some in-depth information about what MyPoints is and if it is worth the fuss. What Is The MyPoints Rewards Program? What Does The MyPoints Rewards Program Offer? Which is better MyPoints or InboxDollars? How to change email MyPoints.com? How did I get signed up for MyPoints? How many members are on MyPoints.com? What is the age requirement for joining MyPoints? Which B2C model does MyPoints.com utilize? How long has MyPoints been around? How do rewards work with MyPoints? Does MyPoints work on past purchases? How to get free points on MyPoints? How to unsubscribe from MyPoints? How to block pop up from MyPoints? How long will my points be pending in MyPoints? How do ecards work with MyPoints? How to use MyPoints to shop on Newegg? How do I get to MyPoints June goals? Can I run two activities at MyPoints.com? How do I get to MyPoints goals? Where is my MyPoints toolbar? Where are my MyPoints e-certificates? How to use MyPoints with eBay app? How to get a Costco membership via MyPoints? Why can’t I take any any surveys in MyPoints? How to watch videos on MyPoints on tablet? Can Amazon smile work with MyPoints? How much can you make in MyPoints daily? How many points is a dollar on MyPoints? How do you earn points with MyPoints coupons? How to earn fast in MyPoints? Can you redeem for Swagbucks and MyPoints? How to earn MyPoints fast? How much is one MyPoint worth? How long does a MyPoints PayPal deposit take? Where do you get your rewards for MyPoints? 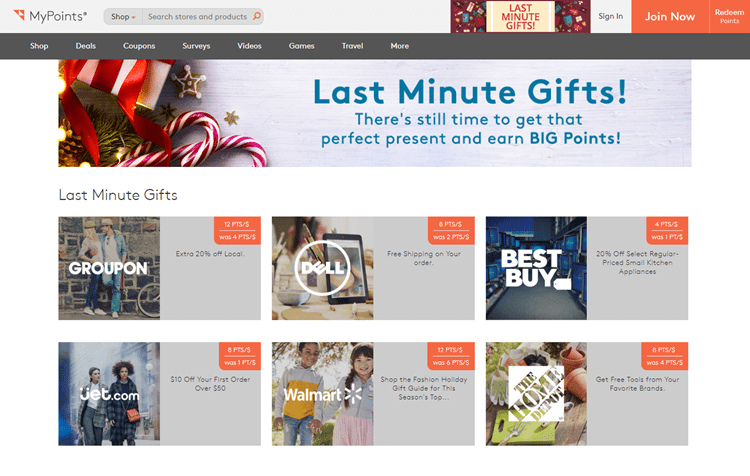 How long does it take to get MyPoints gift cards? How do you get balance of MyPoints gift cards? MyPoints is a website where users can register and earn points for completing various tasks. Once you accumulate a certain amount of points, you can opt to exchange them for rewards. The rewards MyPoints offers range from cash to prizes. There is a lot to consider before diving in and completing their tasks. You will want to know if the prizes and tasks are worth the effort and your time. Below are some important points to take into consideration before you begin. MyPoints offers their participants three types of rewards to choose from. They are gift cards, travel miles and cash payments. Later in this review will be more information about how you earn your rewards. For now, let’s discuss the rewards which are available. Currently, there are more than 85 kinds of rewards that users can choose from using their accumulated MyPoints to redeem. All rewards earned through the site will come in the form of gift cards. The gift cards will be for specific stores or have cash value. For example, you might choose a Best Buy gift card or a Visa gift card to use wherever Visa is accepted as a payment form. 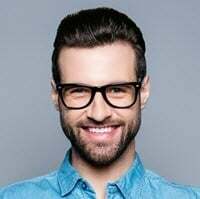 The site also offers users the ability to obtain coupons to use at specific grocery chains and you can use your points to print those coupons out. These are considered a task and a reward together. The number of ways you are able to earn points is almost as much as the number of rewards you have to choose from. You are able to sign up for a new account and get started earning points to use towards rewards right away! There are plenty of options to choose from for earning points and rewards with MyPoints. The hardest part will be choosing which tasks to try first! As it stands now, a single MyPoints point is equivalent to $0.006. This may not seem like a lot, but it can add up quickly if you get busy. One of the first and easiest ways to earn points with the MyPoints Rewards program is by simply opening your BonusMail. The program will begin sending you emails once you finish signing up. Essentially, the emails will contain links they would like you to click on. When you click those links, you will earn at least five points each time. This will usually only take you seconds to complete and can really add up. The program has partnerships online with more than 2,000 retailers. If you are going to be shopping or placing any orders with these retailers, simply visit the site through your MyPoints account. You will earn a certain percentage back based on the amount of money you spend. Each retailer will have a specific amount of cash you can earn. 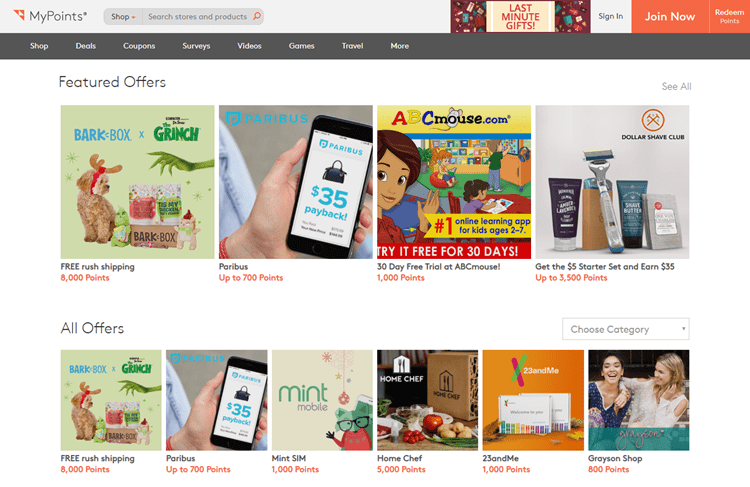 It should be noted that the rewards and cash back you can earn with MyPoints is not quite as much as other sites such as Swagbucks or Ebates, it is still a competitive rate. As an example, shopping through MyPoints at Walmart.com will earn you eight points for each dollar you spend. Ebates would give you 15 points for the same purchase. The program also offers another way to earn rewards for online shopping. This is done through a feature they have available called the MyPoints Score. It is a downloadable extension you can put on your browser. It will automatically track where you make your purchases and what products you buy and then reward you with the points you earn accordingly. This simplifies the process of earning points for online shopping purchases. Instead of having to remember to visit a site through the MyPoints website, you will just add the extension and it will track everything for you. Another way to earn points with MyPoints is by watching videos on your computer or phone. You will be offered a wide range of videos to watch such as news videos, how-to videos and cooking videos. A hint for making the most of your time is to watch videos on one tab and take paid surveys at the same time on another. This is a great way to compound your earnings. MyPoints has their own built-in Yahoo! search bar for members to use. Each time you use it to search for keywords, you will have a chance to win something instantly. They don’t make it clear what you can win using the search tool or how it is even calculated. However, if you are already planning to search online for things, use their search tool for points and chances at winning prizes. On the website, look for their “Search and Earn” page for more information. The site has another unique way to earn money and save on purchases. If you choose to download and print coupons from MyPoints, you will be able to get cash rewards and save money while out shopping. They have all kinds of coupons for popular local chains. Each time you print a coupon out through the site, you will earn 10 points. This equates to around six cents in cash back for each coupon printed. This is on top of the savings you will get from using the coupon at the intended store. If you already love to play online games, why not earn points for trying new games instead? Depending on the game you play, you will earn a certain amount of points for downloading or playing specific games. It is the easiest way to earn points while you have fun and relax. For gamers, it’s a win-win scenario. When you invite a friend or family member to join MyPoints, you will get a few different rewards sent your way. First, you will get 25 points instantly just for getting someone to give the program a try. If a person you refer ends up spending at least $20 or more shopping at the partner retailers through the site, you will get a big bonus of at least 750 points. Lastly, you will also begin receiving up to ten percent of the points they earn for yourself. If they earn 100 points, you will earn 10. The best part about this earnings feature is that you are able to invite unlimited people to join under you. This is a great way for your points to quickly add up. Similar to a lot of other reward sites, you can earn money or rewards by sharing your opinions and completing daily polls offered. Many sites also have surveys available for points and cash. MyPoints offers these same options because their users’ opinions and answers help them contribute to their marketing research program. Each time you are eligible for a survey MyPoints has, it will be sent to your inbox. When you successfully complete one of these surveys, you will earn up to 50 points. All of the surveys are short and can take up to 10 minutes to complete. This equals around $0.35 for each survey. If you take multiple surveys, you will earn around $2 each hour. If you are watching videos in another tab while taking the surveys, you will earn even more per hour. When you are on the MyPoints website, there is tab located on the top right of the site that says “Easy Points.” When you click on the tab, you will be asked if you are looking for things such as a contractor for your home or business. It will also ask if you are looking to save money on your trips to the grocery store by downloading coupons. When you choose the “I Don’t” option, a link will pop up to click on. That link will take you to another area where you are given free points. If you complete this once per month, you will get 5 points to add to your account. That equates to $0.035 for a few seconds of your time. Just like with most rewards sites, MyPoints is completely free to sign up with. Once you sign up, you are going to have to confirm your email. Once you do this, you will automatically be given a bonus for doing so. Inside of your welcome email is an offer to earn a bonus for completing your first purchase. If you spend $20 or more during your first 30 days as a member on qualifying purchases, you will receive a $10 gift card of your choice. Overall, joining MyPoints is pretty simple and straightforward. If you prefer not to visit the website on your computer, the site also has an app you can download. This is perfect for users who prefer to do everything from their smartphones. The only eligibility requirements for being a MyPoints member is that you need to be at least 18 years old and a citizen of Canada or the United States. As soon as you finish signing up and verifying your email address, the site will make it easy for you to get started by directing you to where you can watch videos, print coupons, take surveys and more. A lot of people may hesitate to sign up with MyPoints because they are not completely sure if it is a scam or legitimate way to earn rewards. Thankfully, MyPoints happens to be a very legit way to make some extra cash online doing simple tasks. They are not a scam at all. Is this a way to make a full-time income from home? Unfortunately, no. It is a great way to make some spare bucks when you have a little free time. Survey sites are great for people who have downtime and want to earn a little spending money for doing simple, fun things online such as playing games, watching videos and taking surveys. Some may refer to this as a way to mindlessly make money from home. Give the MyPoints Rewards Program a try today! Do you want to get started with using MyPoints Rewards App? This section provides you with a list of commonly asked questions when getting started with this app. MyPoints is a legitimate platform that enables you to make money when you browse the internet, play games, fill out surveys, watch videos, and other basic tasks. No. MyPoints is not a scam. It is a legitimate way to earn money but it is not the most lucrative option. Yes. 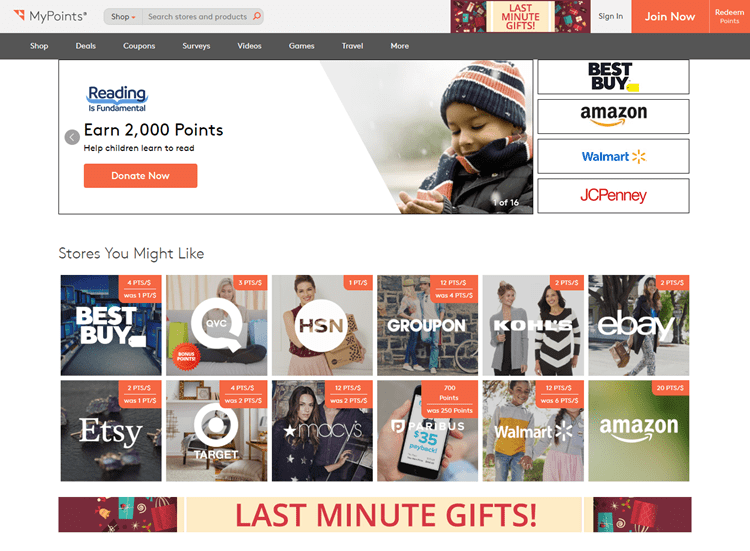 MyPoints is a rewards program website that allows you to collect points when you make an online purchase, watch videos, and other online activities. There are certain pro’s and con’s with MyPoints and InboxDollars. Both options require some time to build up enough points for redemption. You can choose to use one or both if you want to build up your earnings. To update or change your email for your MyPoints account, you must click on the username on the top right corner on your account. When you click on the drop down arrow, you will be able to choose Settings from the menu. Choose Update Email and update with your new email address and password. Once done, confirm the change by clicking on Change Email button. This is a type of credit card that is available to users of MyPoints visa. To get the credit, you have to receive an invite from MyPoints. You may close your MyPoints account at any time you wish. Just login to your MyPoints account and click on your name. You will be taken to Settings where you will find the Close Account option. You must complete a survey before you can officially close your account. It is free to sign up to MyPoints. You can earn instant points to your account when you join. You can redeem these points in cash or gift card format. MyPoints is considered as a pioneer in the online rewards program business system. Since it was launched in 1996, there are over 9 million members on the website. MyPoints is an online rewards program that gives rewards (in the form of points) to members. These points can be used to shop in the form of gift cards to their partner merchants, or in the form of cash through Paypal. MyPointsSaver is also a free-to-join online rewards program that offers points to its members. You can earn points when you play games, sign up to newsletters, read emails, or refer your friends. Yes. 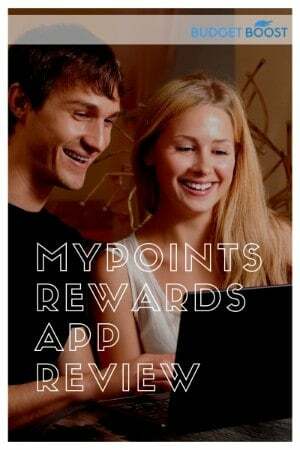 MyPoints is a legitimate website that offers rewards and points to its members. You can earn points that can later be redeemed in cash, gift cards, or e-certificates. You must be at least thirteen (13) years of age to create your own MyPoints account. MyPoints uses the B2C e-commerce model because most of the transactions are conducted over the internet. If you are looking at MyPoints as a supplemental source to your income, it is definitely a worthy option for your extra income. However, you won’t earn a significant amount over a short period of time, so it is not too lucrative. MyPoints was launched in the year 1996. It has been around for more than 2 decades now. Want to get familiar with the policies ad methods available to users of MyPoints Rewards App? All of the questions you need to learn how to use this app are available in this section. MyPoints is a website that offers rewards and points that users collect with every legitimate activity. You can earn points when you shop online, watch videos, perform a web search, and so on. If you spend a lot of time doing online activities on your computer or phone, this is a great and legitimate way to make money online. MyPoints reward program is a system that assigns corresponding points to users when performing valid activities such as shopping, browsing, reading e-mails, and other online or mobile activities. These points accumulate over time until it is valid for redemption. You must login to your account at MyPoints. Choose the denomination of the reward option that you would like to redeem. When you click on the ‘Get Rewarded’ button, you may use your points however you like. MyPoints is a rewards program online. You will earn rewards in the form of points when you complete a task or valid activity. You can also get points when you shop online using the program. No. It is only applicable to any purchases you’ve made while enrolled in the program. The best tip to earn free points is to simply sign up and complete your profile. You will earn 60 points instantly. If you want to discontinue your use of MyPoints, you can unsubscribe or delete your account. It takes three easy steps: 1) login to your account and click on your name, 2) go to Settings, and 3) click on the Close Account option. You can turn the pop-ups on and off on your MyPoints account. To do this, go to your browser and choose Settings. Go for the Advanced Settings option. Look for the “Privacy and Security” option. You will find the “Pop-ups and Redirects” from your list and choose Blocked. The points will be pending on your account for 30 days. This is to allow for returns or cancelled purchases to be reflected, if any. E-cards, or electronic gift cards, can be used the same way as regular gift cards in MyPoints. You are free to use these e-cards online or in-store. You can use coupons when you shop at Newegg through MyPoints. For every coupon you use, you can earn a cash back or points in return. These points can in turn be used to shop in Newegg in the future. MyPoints enables you to set monthly goals on your account. When you reach your monthly goal, you can earn more points and bonuses to your account! Yes. You can run as many activities on MyPoints on any given day. For every valid activity, you can earn points to your account. To reach your monthly goals on your MyPoints account, you must participate on every valid activity per day. This will enable you to accumulate your points and earn much faster. Surveys are one of the best ways to earn points at MyPoints. It enables you to share your opinions and earn a reward for it. You can get points or free gift cards when you complete a survey. You need to install the MyPoints toolbar to your browser. This will enable you to earn points for your web searches. You can find your e-certificates under your MyPoints account. To see them, simply log into your account and go to the Rewards section. You can earn points in MyPoints with the eBay app for legitimate winning bids on the site or app. This means that you must place a bid and purchase within 24 hours from the time that you responded to a MyPoints offer in order for it to become eligible for points. You can sign up for Costco membership and earn 800 points on your MyPoints account. The point will be credited to your account 45 days after signing up. Make sure that your email address at MyPoints is the same one you use for your Costco membership. When you enter to join a survey, your profile is evaluated to fit the demographics targeted for these surveys. You can watch videos on MyPoints on your laptop or desktop. However, there are extra points when you watch videos from your tablet using the MyPoints TV app. This is available in Android and iOS accounts. No. Currently, MyPoints is not affiliated with Amazon Smile. There are more than 100 merchants and e-commerce websites available to choose from. Maximize your earnings potential with the MyPoints Rewards App. If you are curious to know how, this section will provide all the answers you need to know. There are different points rewarded for every successfully completed activity at MyPoints. For example, you can earn 10 points when you fill out a survey upon signing up. There are also corresponding points for each activity. To maximize MyPoints and increase your earnings potential, you need to spend each day doing activities that will earn you points. The value of one MyPoints point is equivalent to $0.006, or about half of penny. You can print your grocery coupons or other coupons you use while shopping. Use those coupons and get points or cash back. To earn fast with MyPoints, you need to perform as many qualified tasks as possible on each given day. You can read emails, use MyPoints when shopping, use coupons, watch videos, play games, answer polls and surveys, and invite your friends. Swagbucks and MyPoints are similar. They are both rewards program that enable you to earn points for your online activities and shopping. You can redeem those points when they reach the designated threshold. There are several methods to earn more points at MyPoints quickly. The most obvious step is to participate in every possible activity that enables you to earn points. The more activity you join, the higher the points you can get. Each point in your MyPoint account is equivalent to half a penny or roughly $0.006. Each activity will learn you earn at least 10 points. When you have chosen to redeem your points at MyPoints through Paypal, it will take anywhere from 4 to 5 days for the transaction to be completed. To view and redeem your rewards, you can go to your MyPoints account. Click on your name at the upper right hand corner of the page. Choose All Rewards and you can see your rewards according to gift cards or e-gift cards. You know when the reward is available to you if it is shown in black. If the reward is in pending status, it is grayed out. When you choose to redeem your reward in the form of gift cards, they will be mailed out within 7 days after redemption. Expect the gift card to arrive in 2 weeks. To view your remaining gift card balance on MyPoints, simply log into your account. Under the Rewards section, you will find all the information you need about your rewards.